Are you ready for a new series? 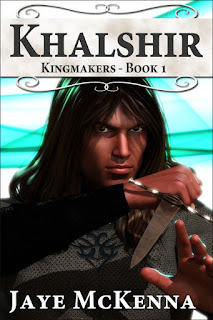 This one is called Kingmakers, and it's another M/M fantasy romance series that will probably run to six or seven books before I'm done. Or possibly more--I know where I'm going, but not quite how I'm going to get there, or who might grab my attention along the way. 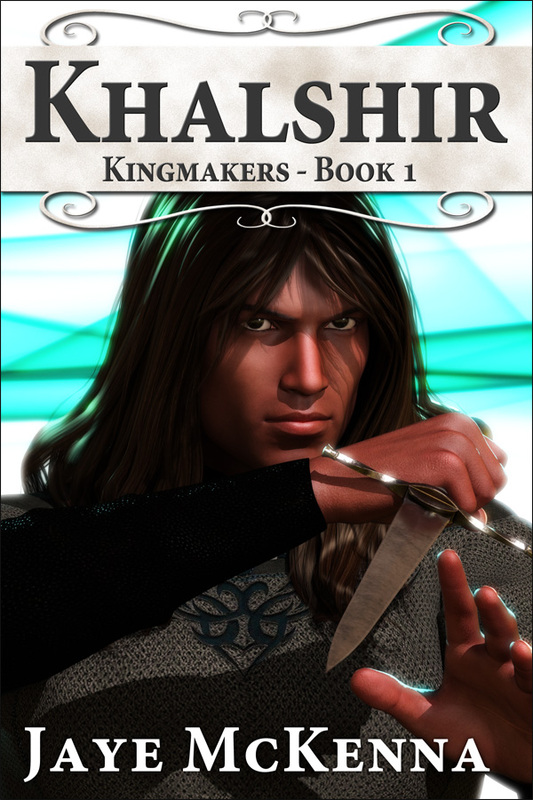 Book One of the Kingmakers series, Khalshir, is coming in March. It's the story of Rio and Dani, and as seems to be my habit, also introduces one of the main characters for Book 2, Renegade, which will be coming later this year, or possibly early next. Depends on how much Life(TM) happens between now and then. A street rat taken in by the infamous Khalshir Guild and ruthlessly trained as a spy and assassin, Rio thinks he’s ready for anything. When he balks at performing his first assassination, his mentor is furious, but gives him a chance to redeem himself: a simple bodyguard assignment, protecting the son of a high-ranking noble. Second son of one of the most successful businessmen in the kingdom of Tallin, Dani Jherek never expected to become his father’s heir. After a suspicious accident leaves his twin dead, a grief-stricken Dani finds himself struggling not only to fill his brother’s shoes, but to protect a dangerous secret that, if revealed, could mean his execution. Guarding Dani turns out to be far from simple. Instead of a spoiled, pampered brat, Rio finds himself watching over a beautiful, miserable young man struggling to survive in a dangerous world he doesn’t understand. As Rio spends more time with Dani, he finds himself caught up in a tangled web of conflicting loyalties. When Dani learns the true nature of his father’s business, everything changes, and Rio is forced to make an impossible choice: his loyalty to Guild and family, or his growing feelings for his charge.